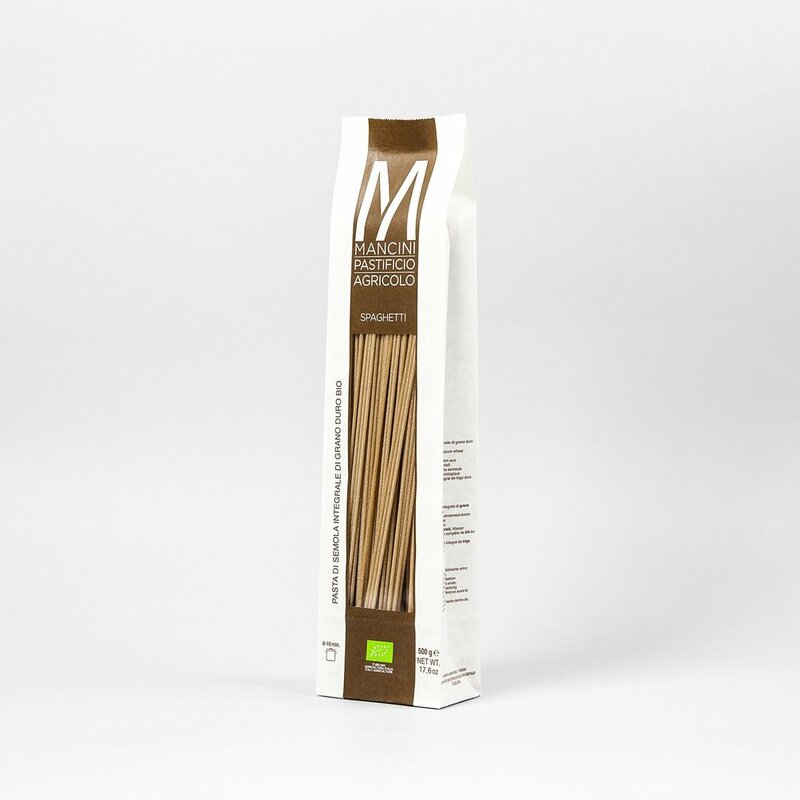 Our pasta of the whole line is produced with wheat from certified organic agriculture. The milling process preserves all the components of the wheat: bran, endosperm and germ; this allows to maintain unaltered all the nutritional and vitamin properties with a greater contribution in terms of proteins, fibers and minerals. We use circular bronze dies and we dry the pasta at temperatures below 44 ° C, using for short pasta about 20 hours and for pasta about 40 hours long. The whole BIO spaghetti is 260mm long and has a diameter of 2.2 mm. The cooking time is 8-10 minutes.